Herbs and spices aren't only pretty additions to your plate. They're also packed with nutrients. In honor of National Herbs and Spices day here are some of our favorite herbs and spices and great recipes to cook them up. Rosemary not only smells great, it's also thought to fight bloating and even improve your memory. Try it with meat, veggies, or olives. It delivers great flavor, without adding calories. 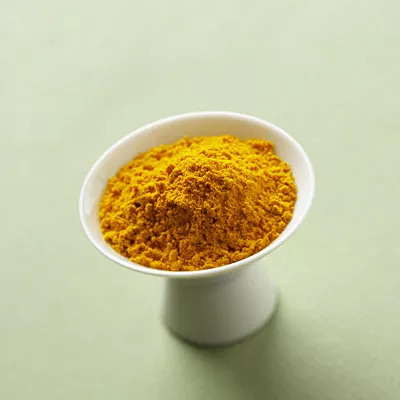 This bright yellow spice is often used in Indian cooking. It's a good source of both iron and vitamin B6. Turmeric may help depression, fatigue, diabetes, neuropathic pain, and even lack of appetite. 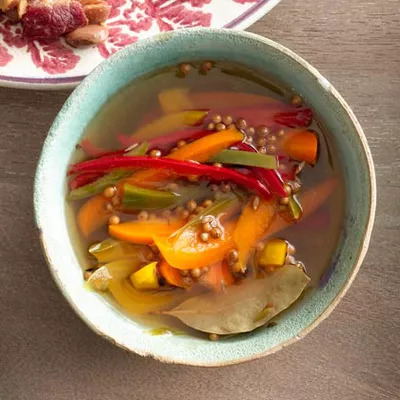 Use it in a curry dish, with veggies, or in a spicy dip. 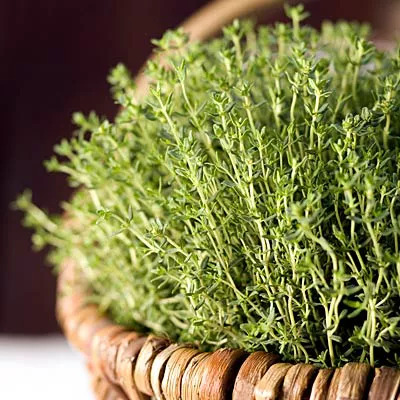 Thyme has long been used as an herbal remedy for respiratory problems such as bronchitis, and it also has antiseptic properties. (Thymol, one of the compounds it contains, is a key ingredient in Listerine.) Even better, thyme is virtually calorie-free and provides a delicious boost of flavor to soups, salads, and just about any other recipe you can think of, even champagne! 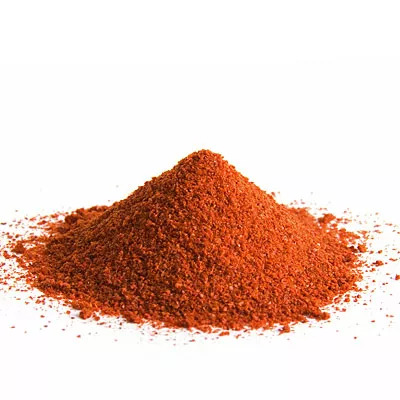 A spice that has natural pain relieving qualities, cayenne pepper is a great addition to your favorite dishes. Use it in meat dishes, or mix it with lemon to create a tasty marinade. 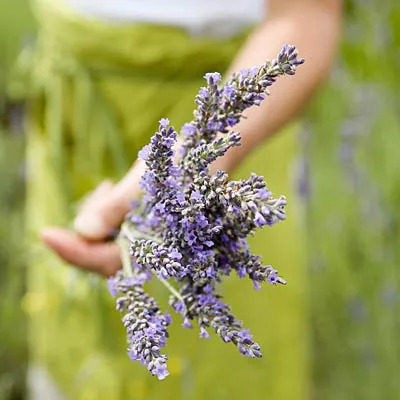 Lavender has a soothing fragrance (it can help you fall asleep), but it also has health benefits, including antioxidants known as polyphenols that fight belly bloating. Another way to use it? Place the flowers in a warm bath; it's the perfect way to relax after a long day. This spice actually comes from the seeds of cilantro plants, which makes cilantro a great herb to grow at home since it provides an herb and spice double-whammy. Coriander may also help to control cholesterol and blood sugar, which is one more reason to try it in your dinner tonight. Though this herb is commonly used as a garnish, it's actually filled with nutrients and adds great flavor to veggies, meat, and more! 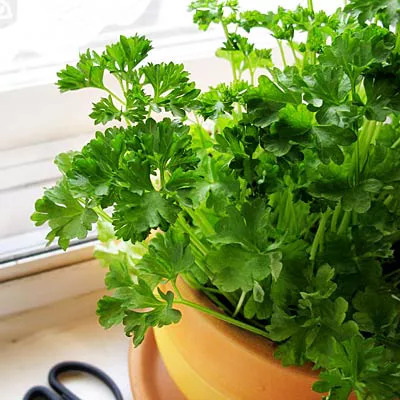 Parsley contains vitamins A and C, and just one tablespoon offers more than half of your recommended daily intake of vitamin K, a nutrient that's essential for healthy blood cells.